Final payment is required 30 days prior to the arrival. Late check out until 6 pm can be arranged at half the rental rate subject to availability. The villa disclaims any and all liability of property loss or damage, as well as injury including death sustained by any person whilst residing at the villa or while engaged on any tour whether the loss or injury occurs as a result of breach of contractual obligations of the villa, it’s staff, employees or agent. 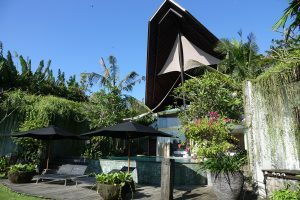 Request availability of Villa Toraja. Recommended by many of our former guests.